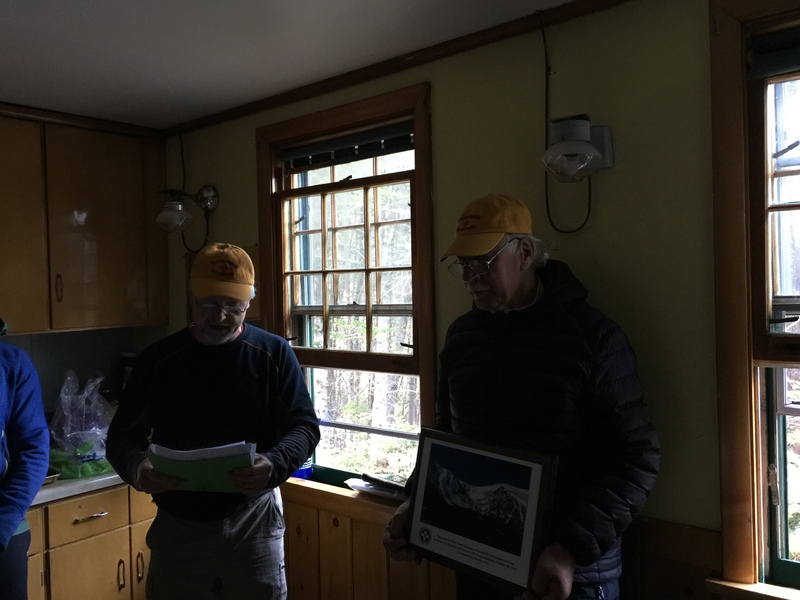 From 1939 through 1982, Henry “Swampy” Paris was the founding director of what has become the Mount Washington Volunteer Ski Patrol. He had a passion for the Cutler River Drainage, a passion for his fellow humans who enjoyed recreating there, a passion for watching over and attempting to ensure their safety, and a passion for helping them when those attempts failed. 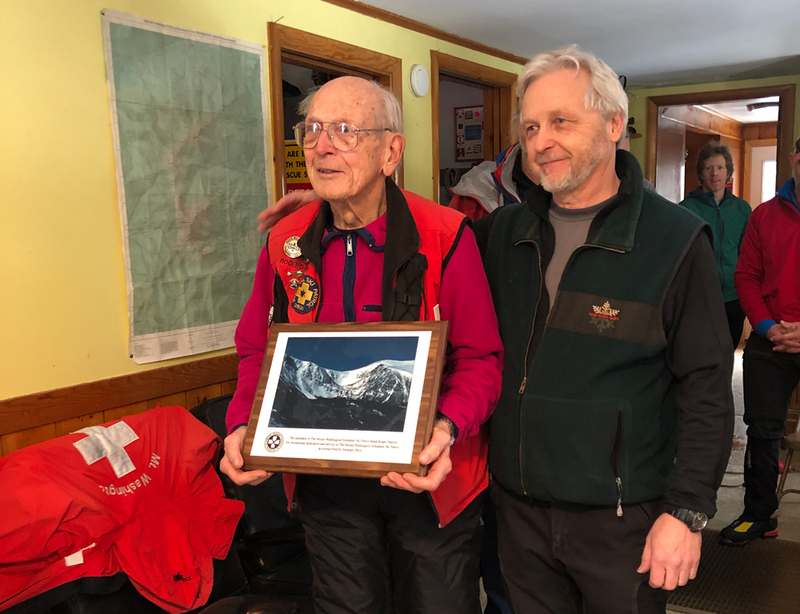 In 2015, the members of the Mount Washington Volunteer Ski Patrol created a very special award to honor the memory of Swampy Paris and those who follow in his footsteps. 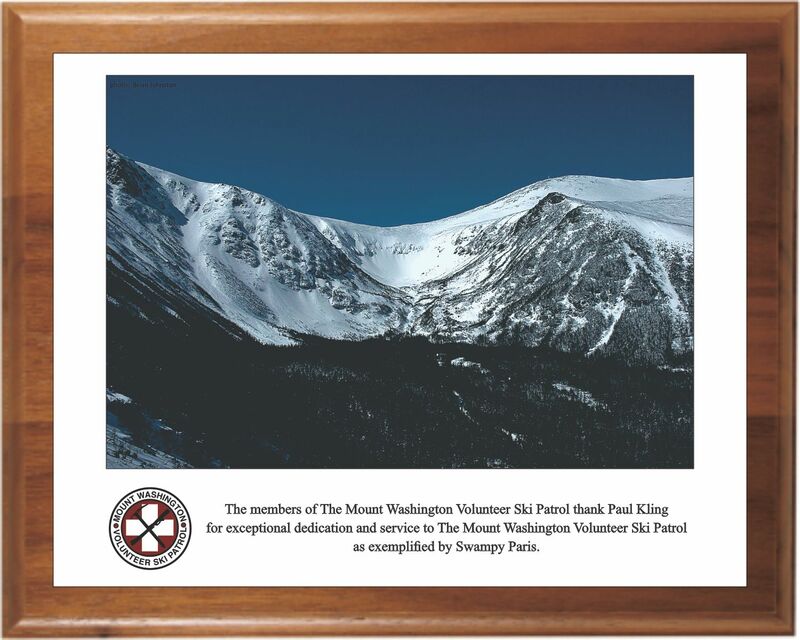 The “Mount Washington Volunteer Ski Patrol Swampy Paris Thank-You” is awarded to unique individuals who have provided exceptional dedication and service to the Mount Washington Volunteer Ski Patrol and to the recreating public. Roger Damon, accepting his Swampy Paris plaque. Paul Kling, accepting his Swampy Paris plaque.